Oxenfree is such an amazing game. I heard so many good things about Oxenfree, and was definitely not disappointed! Developed and published by Night School Studio, this is one game you NEED to play at some point in your life. Here are my thoughts on Oxenfree. The game follows the story of Alex. She, alongside her friend Ren and her new step-brother Jonahs are heading off to have a crazy weekend on Edwards Island. They want to make it a weekend that they will not forget in a hurry! Once they all arrive on the island, they soon meet up with some other people. Nona, who Ren secretly has a crush on is there with her best friend Clarissa. Alex and Clarissa don’t particularly like each other very much. Upon seeing that they would be the only people joining the so called “massive” end of year party, Alex and the group head down to the beach. To do what exatly? Skip rocks, drink, take drugs (or at least Ren was planning to) and play a game of “Truth of Slap”. This game starts of harmless, but questions start to become more heated and anger starts to boil between the group. Wanting to cool off, Alex, Ren and Jonas decide to go visit the cave which resides next to the beach. One thing Alex always carries with her is a radio. Ren had told her about locations around the cave where if she tuned the radio just right, creepy but awesome things would happen. After tuning a few times, an eerie glow starts emitting from a small cavern. Ren refuses to go in, so Jonas journeys on ahead. Refusing to let him go alone, Alex runs off after her step-brother. The cavern looks amazing, like something out of a fantasy book. Alex starts to search for Jonas. Once they are reunited, they decide to journey further into the cavern. What’s the worse that could happen? A lot, apparently. They soon come across a strange thing hovering in the cave that reacts to Alex’s radio frequencies. She decides to play around with her radio more to see what would happen. Suddenly, Alex and jonas are stunning to hear voices. Where they coming from above? Soon Alex and Jonas find themselves in a vision which makes no sense, and on another part of the island. What happened to them in the cavern? Where is everyone else from the group? It was down to Alex to try and figure out what she had done with her radio, and how to fix it. Ultimately, they needed to get off the island. But would she be able to find everyone? The main mechanic that runs through Oxenfree is the usage of the radio that Alex carries. There are various “hot spot” locations where the radio can be tuned for information about the particular area. The radio can also be used to solve puzzles and to gain access to buildings or different spots. 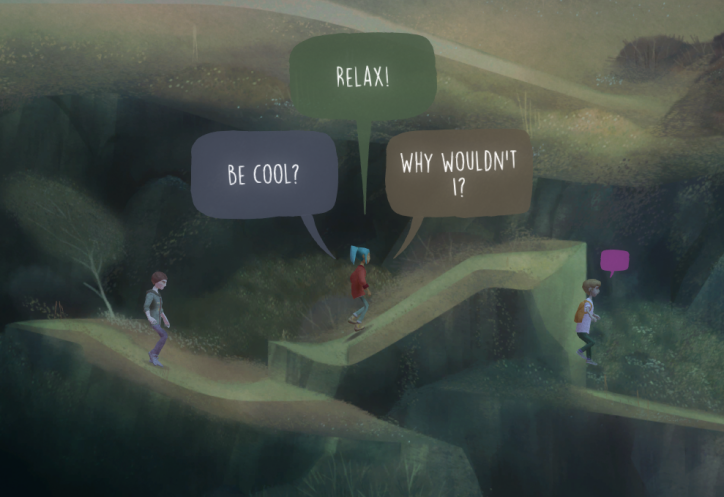 Another huge factor of Oxenfree is the decision making. These decisions can change the relationships that Alex has with the rest of the group. Speech bubbles with text will appear above Alex’s head whenever a decision needs to be made. Some of these choices are timed, so quick thinking is necessary! Oh my goodness the music of this game is absolutely stunning. 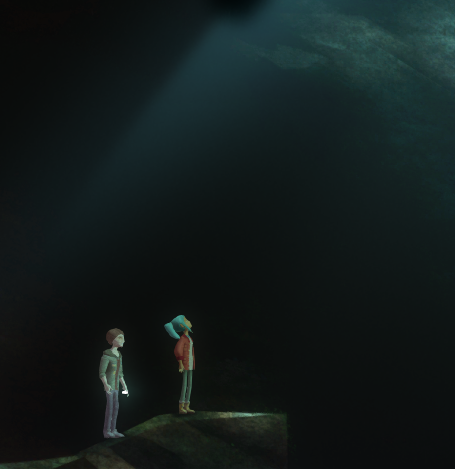 Throughout Oxenfree, the soundtrack carries Alex and the group along their crazy adventure. Every location that you discover has a different song, and they work so well! The music does not overpower the dialogue. In fact, I feel very strongly that it only enhances it! There are some songs that gave me the same vibes of Earthbound. Weird and distorted, yet beautiful. 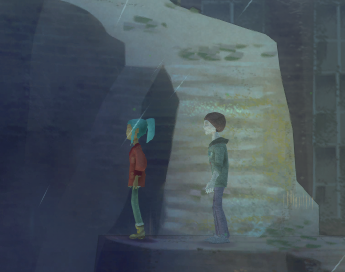 I love the art style of Oxenfree. The game is presented from a beautiful 2.5D perspective. While travelling around, the characters will seamlessly move back and forth in the world. The way that everything feels massive in comparison to Alex and the group feels amazing. They are depicted as tiny figures that go around this fully interactive world. 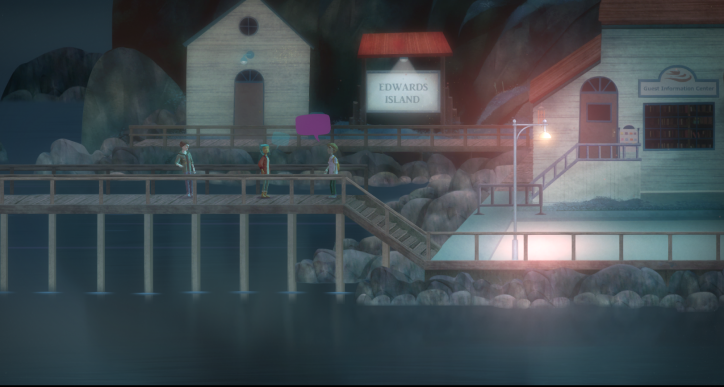 I also love that certain parts of Oxenfree feels super creepy because the art style subtle changes! Oxenfree is a fantastic game. I loved everything that this game provided. Decision making felt super satisfying and it was really impressive with how it had an impact on how you continued playing the game. The graphics were beautiful and eerie, giving Oxenfree the well deserved creepy thriller experience. My favorite aspect of the game though was the music. Every piece of music was perfect for their respected location. In fact I started to get excited to go back to areas in order to hear the music! I only played through the game once, however there is still so much for me to uncover. Hidden secrets that are spread throughout the game, as well as playing the game again in order to make different choices. I want to be able to see how the gaming will change based on other options. 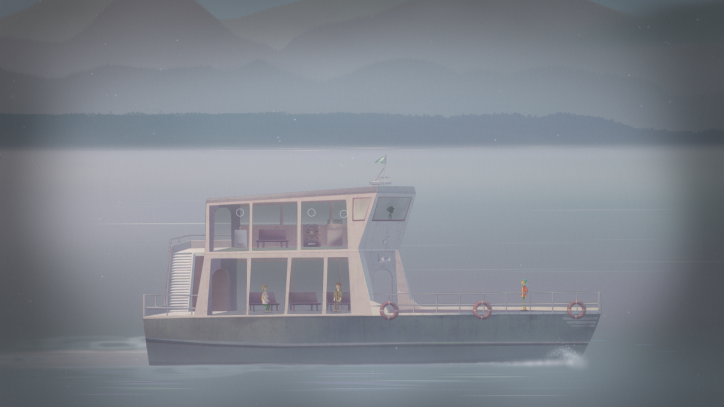 Oxenfree is 110% a game that I would recommend to anyone who enjoys games like Life is Strange. 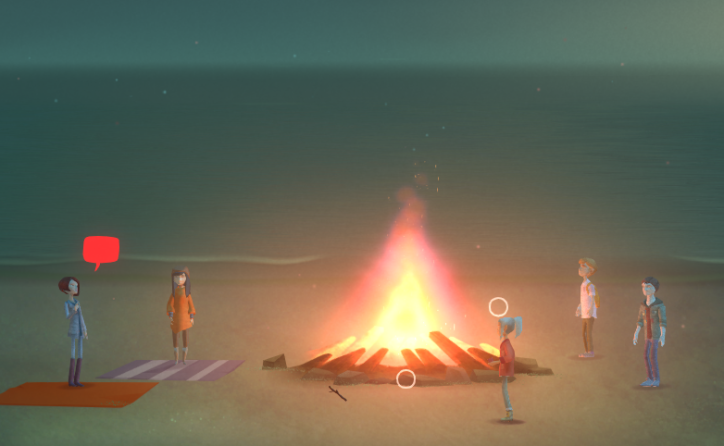 If you are also a fan of the Netflix series Stranger Things, Oxenfree would be up your street. I am so satisfied with my first playthrough of Oxenfree and I cannot wait to play it again! 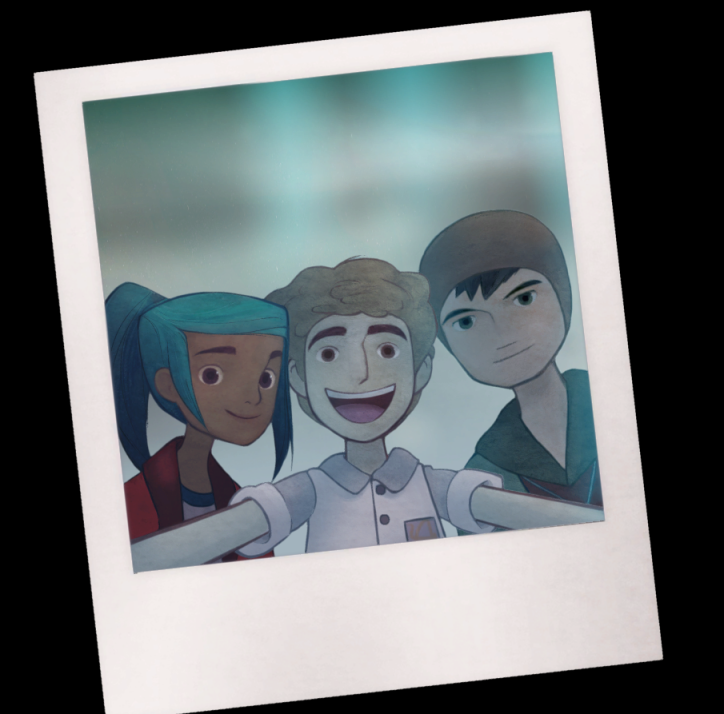 Have you played Oxenfree? If you have, what do you enjoy the most about the game? Let me know in the comments below! Okay-so now I really want to play this game! Aha it looks so fun! 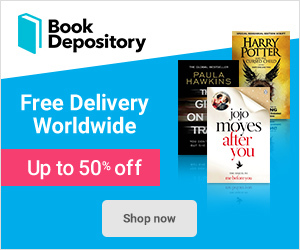 Previous Previous post: A Conjuring of Light – Book Review!